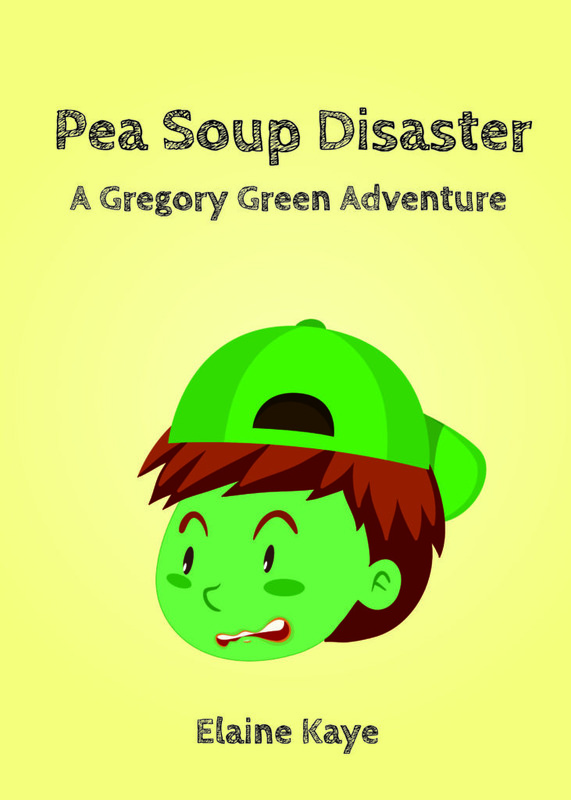 In celebration of Elaine Kaye, The Pea Soup Diasater picture book release. Welcome to the Blog Hop of the same name. It is a Souper’s delight. Check out all the recipes posted by the participates. Links at bottom of the post. 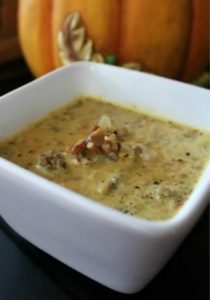 FOR THE SOUPER BLOG HOP: One of my favorite soup recipes – Low Carb Pumpkin Sausage Soup. It tastes great; it is filling. A great winter and fall soup recipe, but I like it all year round whenever the mood hits me. I also love Italian Wedding Soup I admit I generally do Campbell Soup version. Cheese and Broccoli Soup – general do Bear Creek and add frozen broccoli. Simple Hamburger Stew Slow Cooker style. Oh, oh, can’t leave this one out either. Bear Creek Tortilla Soup add a can of dark navy, or pinto, or kidney beans, plus a can of diced tomatoes with your favorite tortilla chip brand on the side — shred cheese, sour cream to top, and guacamole as a side dip. ;)AND Olive Garden Zuppa Tuscany & Olive Garden Pasta e Fagioli Soup Copy Cat versions from the internet. Oh okay, I have more than one favorite and I really can’t choose. I love them all. 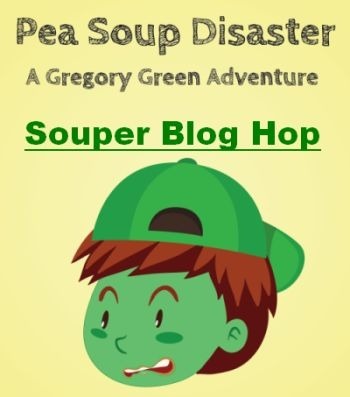 I picked only one to display officially for the Souper Blog Hop. It is one of my top three faves! The one I eat most often is Cheese and Broccoli Soup or Tortilla Soup because Bear Creek brand is fast, simple and really good. Brown sausage, drain, add onion, garlic, Italian seasoning, and mushrooms, sauté until done. Add pumpkin to mixture and mix. Stir in broth and simmer 20-30 minutes. Stir in heavy cream and water, simmer on low for another 10-15 minutes. Taste and add salt and pepper as needed. That pumpkin sausage soup sounds really delicious. 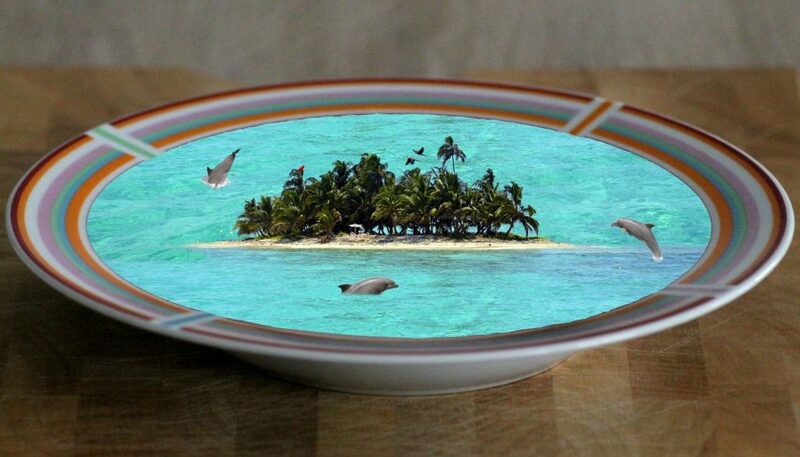 I love the picture you have at the top of this post – a tropical paradise in a bowl. Very cool! Fun to see all these soup recipes flying around. It’s a cute blog hop idea. Never would have thought of combining pumpkin with sausage. Thanks for sharing the recipe! Pumpkin Sausage soups sounds amazing. I must try this. Great recipes that tempt my favourite buds. Tasty. Pumpkin has to be up there. 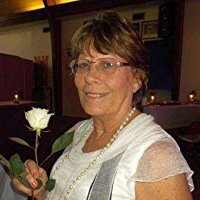 Congratulations to Elaine for an excellent book. There are some great soups there – very tempting, Juneta, Despite being a Brit, I’ve had pumpkin soup but not with sausages. Never tried a pumpkin soup, but this recipe sounds good. That’s a lot of soups! They all sound delicious. I’m having a field day with all these great soup recipes! Thanks for adding to the collection. I’ve heard of pumpkin soup, but I’ve never tried it. (Or peanut soup, either…) I’d be willing to give it a go, though, and since it has sausage in it, my hubby should be happy, too. But that tortilla soup… that REALLY sounds good! You mentioned so many wonderful soups! The pumpkin sausage soup sounds so interesting that I’ll have to give it a try. Now I’m hungry for soup! It has been way too long since I had pea soup. And that recipe looks delicious. I’ve tried commenting a couple of times but my comment won;t show up. If a bunch come through, please remove all but this one. Sorry about that. Sausage would definite add great flavor. I’ve never had pumpkin soup, but it does look good. I’d have a hard time picking a favorite soup, too. Okay, my mouth is watering. I love a good spicy tortilla soup as well. Pumpkin sausage sounds amazing as well. Mmm. Pumpkin soup. That sounds good. I’d love to make that. I’m always looking for new recipes to try out with the fresh pumpkin puree I make every year. Thanks for the recipe! And for telling us some goodies to add to Bear Creek Tortilla Soup. My recipe on my blog and my mom’s recipe on her blog is done using a can of soup. Why not, right? You are a big fan of soup.